Stephanie McConnell, a Tennessean since the age of 5, is a veteran of residential property management. 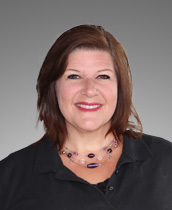 With over 25 years’ experience, she worked her way up the corporate ladder from leasing agent to manager. In addition to everyday responsibilities of managing properties, Stephanie has overseen construction, renovations, regularly changing operating systems, and several ownership conversions. Stephanie is excited to manage UDC’s first apartment community in Kingsport, The Villas at River Bend. Stephanie resides with her husband Kevin, daughters Olivia and Valerie in Gate City, Virginia. In 2018 Stephanie earned her Certified Apartment Manager (CAM) certification from the National Apartment Association.